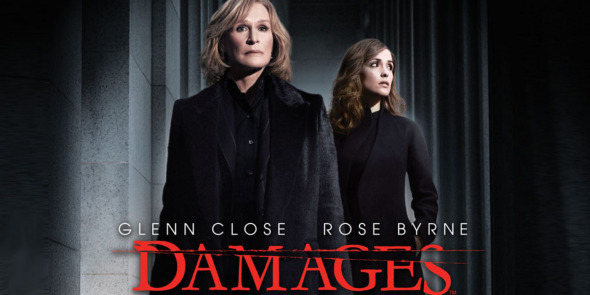 Today I am thankful for the television show Damages. Now I know that I am a little bit behind on this one. Ok, maybe a lot behind. But somehow I managed to not find out about this show until after it had already gone off of the air. Thank the Lord for Netflix. Yet, that is neither here nor there. What is important is that I finally “found” this show, or better yet, this show finally found me. I have always been a person who is very interested in the law and the whole concept of being a voice for those who either do not have one, do not have access to the proper forums that they need to reach in order to allow their voice to be heard, or they simply do not know what they need to do in order to ensure that their concerns are voiced and addressed. And I have always enjoyed rooting for the underdog, so to speak. So, this show is right up my alley. For the few of you who might not have encountered this show yet (no need to feel bad, after all, I am new to the show too), the basic premise is that the lead partner in a law firm known for consistently finding ways, albeit creative ones, to stick it to major companies and their owners who break the law in ways that devastate huge populations, be they employees, mothers, or even the environment, goes toe to toe with some major contenders while adopting a “by any means necessary” kind of attitude. And when this particular partner/owner of this infamous firm goes after the defendant of the hour they had better look out, because she plays hard and she plays to win.